We have now celebrated over 40 years of God’s worship and work at Western Way Chapel. 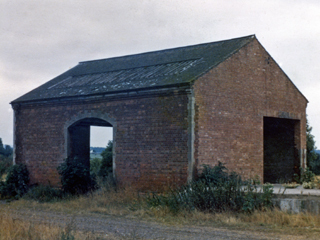 Previously, the building had served the Great Western Railway as an engine goods shed for 78 years before becoming a victim of the ‘Beeching Axe’ in 1962/63. 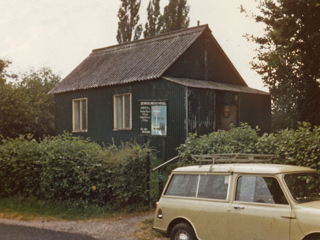 It remained derelict for a number of years before the Trustees of Dymock Mission Hall purchased it in 1969/70 and built it into the present chapel in 1973. 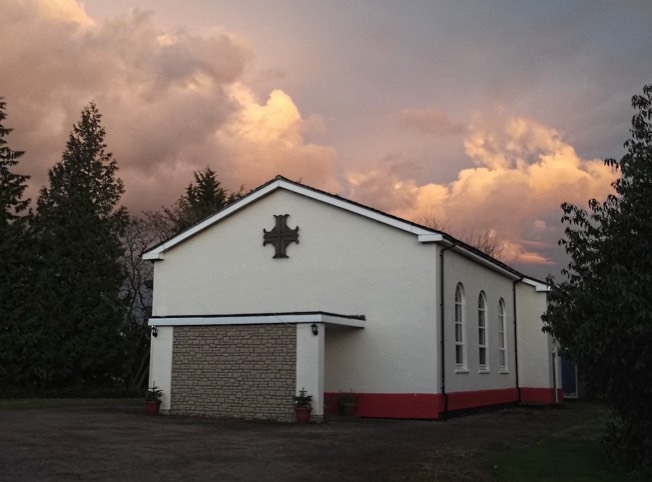 The Mission Hall (which still stands along the Leominster Road) had been built and opened in 1921 by Christians who had supported the missioner John Coates of the Ross Carriage and Caravan Mission in his outreach missions in Dymock. Converts from these, along with local Christians from Ross (Henry Street Gospel Hall) and Gorsley (Baptist Chapel) started meeting in the Rifle Hall attached to the Beauchamp Arms at Dymock before the Mission Hall was erected. It is appropriate that between 2014 and 2018, as people mark 100 years since the 1st World War, and all the heartache and loss of life that it brought, we should think of the folk who in those war years found New Life in Jesus, through the good news of Jesus shared with the people of Dymock by his servant John Coates. ‘Furtherance of the Christian Faith’ remains of paramount importance – and is a declaration of trust in the conveyance relating to the purchase of the former railway land. Like John Coates did a hundred years ago, we seek to share the Good News of Jesus by word and deeds to the people of Dymock in the 21st Century. The chapel was registered with the Charity Commission in December 2011, and its Charity Number is 1144956. Since God’s Word is the only completely reliable and truthful authority, we accept the Bible as our manual for living. Our first question when faced with a decision is “What does the Bible say?” We practice daily Bible reading, Bible study, and Bible memorisation. The Bible is the basis for all we believe. Christ is the recognised head of our church, not any person, group, or religious organisation. While recognising the value of associating and cooperating with other groups of Christians, we believe every local church should be self-governing and independent from any denominational control. The Bible teaches that every Christian is called to “full time” Christian service, regardless of his or her vocation. We practice the truth that every believer is a minister by encouraging every member to find a place of service and ministry. Every believer has direct access to God through prayer Bible reading. We practice baptism by immersion under water – the way Jesus was baptised, and the way the Bible commands. The Holy Spirit is co-equal with the Father and the Son of God. He is present in the world to make men aware of their need for Jesus Christ. He also lives in every Christian from the moment of Salvation. He provides the Christian with the power for living, understanding of spiritual truth, and guidance in doing what is right. He gives every believer spiritual gift when they are saved. As Christians, we seek to live under His control daily. Romans 6:23; Ephesians 2:8, 9; John 14:6, 1:12; Titus 3:5; Galatians 3:26; Romans 5:17. Because God gives us eternal life through Jesus Christ, the true believer is secure in that salvation for eternity. If you have been genuinely saved, you cannot ‘lose’ it. Salvation is maintained by the grace and power of God, not by the self-effort of the Christian. It is the grace and keeping power of God that gives us this security. People were created to exist forever. We will wither exist eternally separated from God by sin, or eternally with God through forgiveness and salvation. To be eternally separated from God is Hell. To be eternally in union with Him is eternal life. Heaven and Hell are real places of eternal existence.